A new variety of Ethiopian Opal has been developed by Jewelry Television (JTV), which is the world’s largest retailer of loose gemstones for fine jewelry. The gem's name, the Chalama Black Opal, comes from the Amharic (Ethiopia’s native language) word that means “to darken.” According to DiamondNe.ws, Ethiopian Opal was discovered in 2008 and is known for its vibrant colors and unique patterns. 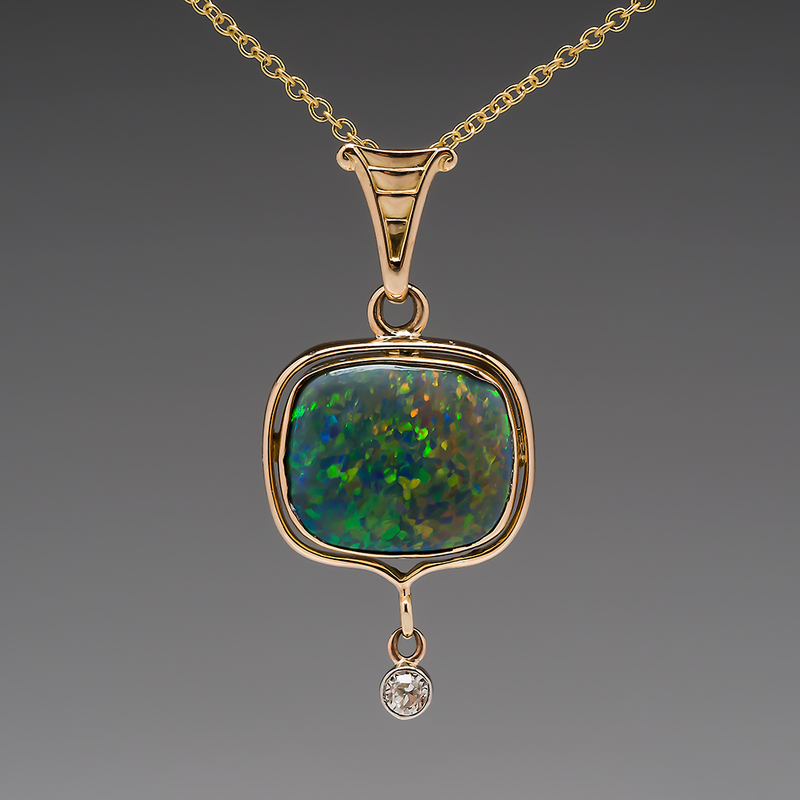 The colors of the Chalama Black Opal are even more striking, as the stones are treated with smoke to deposit carbon into the gem, making the background appear black. JTV described the smoke treatment process on their website. 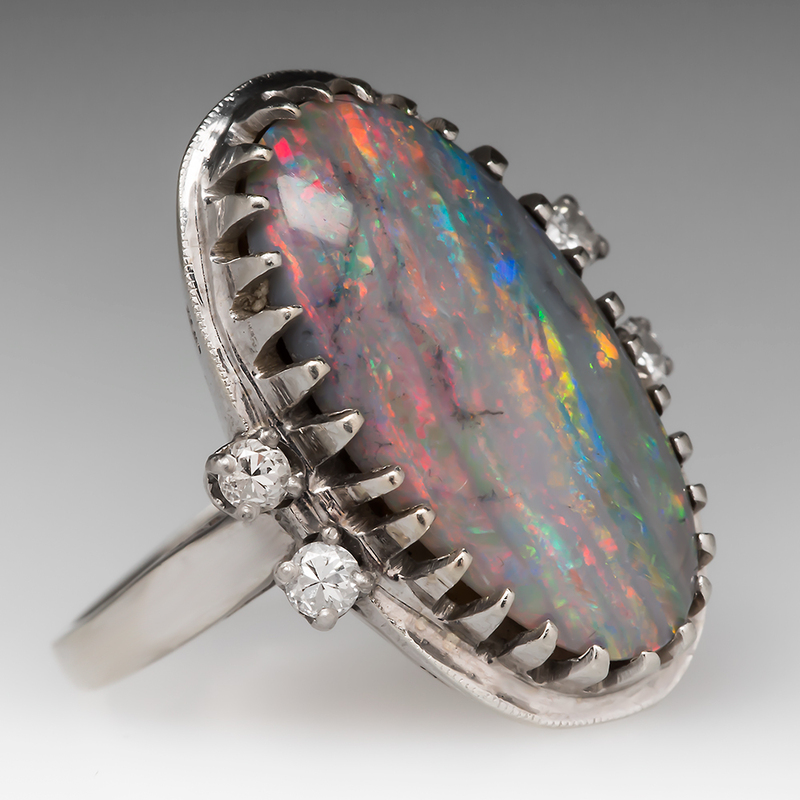 "In the smoke treatment process, the opals are wrapped in silver foil paper and heated. The smoke penetrates the opal and darkens the background color. This process results in a brighter play-of-colors in contrast to the darkened background color." Although other black opals are on the market, there are few with the dazzling range of colors that come with Chalama Black Opals. If you're a fan of opal jewelry, you may want to check out a couple of vintage jewelry items that might strike your fancy.